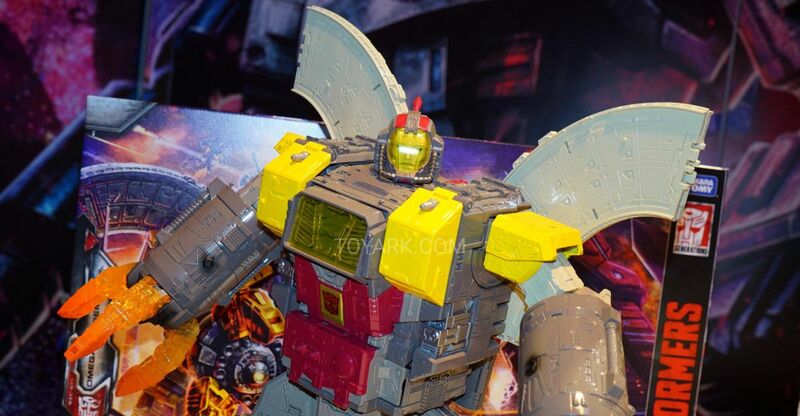 Full coverage related to Transformers from Toy Fair, all in one spot! Thanks to our very own Australian 2005 Boards member Griffin-of-oz for sharing in our boards images of Hasbro’s Transformers Exhibit at Toyfair Australia 2019. War For Cybertron Siege – Including Commander Class Jetfire in both modes and a great display of Titan Class Omega Supreme next to the original G1 Omega Supreme and the infamous Action Master Elite Omega Spreem. Transformers Studio Series – Samples of Wave 1 and 2. 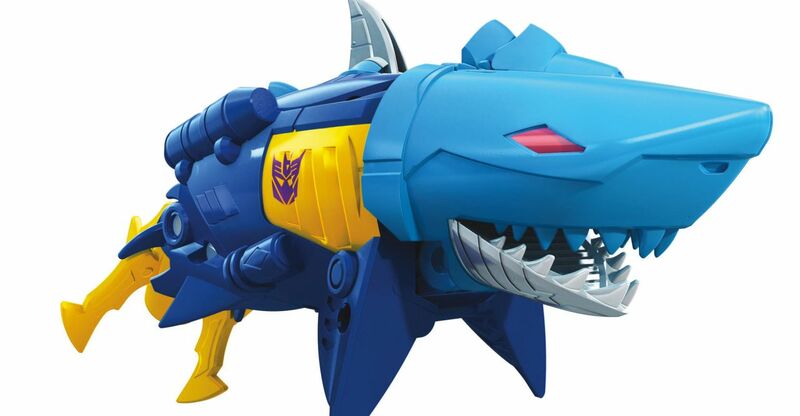 Transformers: Cyberverse – Spark Armor toys and a closer look at the new Cyberverse Tiny Turbo Changers Series 1. 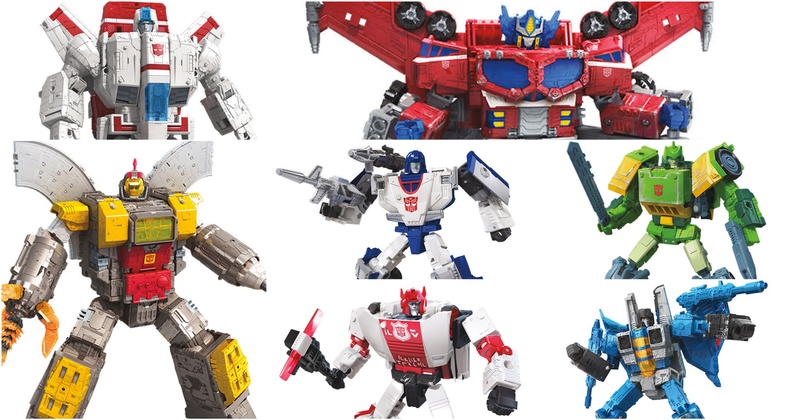 Transformers: Botbots – Sample of figures from all three series for 2019, including the special Arcade Renegades Surprise 16-pack. Thanks again to griffin-of-oz for this amazing coverage. Check out all the images after the jump and then join to the discussion on the 2005 Boards! 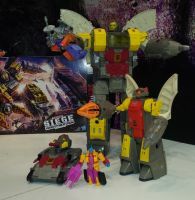 Courtesy of our very own Griffin-of-oz, we have our first reveal direct from Toyfair Australia 2019: Siege Micromasters Sports Car Patrol Blackjack and Hyperdrive. These Decepticon Micromasters are new redecos and slight remolds of the Autobot Race Car Patrol Roadhandler and Swindler. 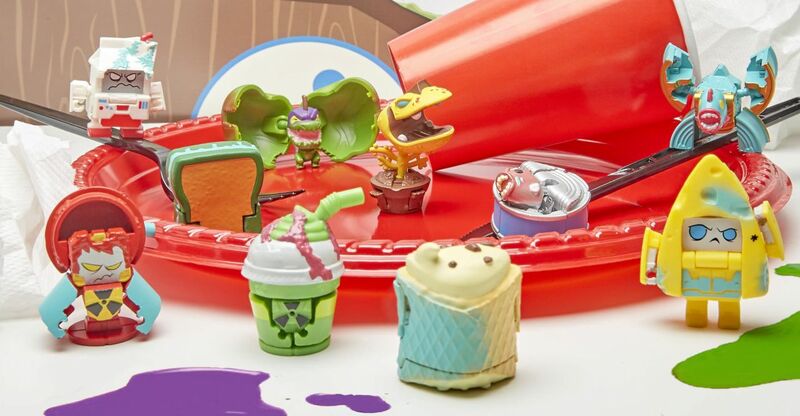 Stay tuned with TFW2005 for more reveals from Toyfair Australia. Click on the bar to check the images and spuso off on the 2005 Boards! 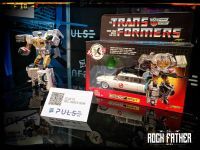 Thanks to @ToyBook on Twitter, we have a look at the packaging of the recently announced Transformers Ghostbusters Mash-Up – Ecto-1 Ectotron Figure, that was on display at Toy Fair. It was a nice surprise after the first official reveal and the announcement of a new 5-issue comic featuring the new character. The packaging shows an incredible G1-retro packaging style with a beautiful art by artirst Emiliano Santalucia. The back of the box shows Ectotron’s tech specs, revealing his function as a Paranormal Investigator. The ECTO-1 ECTOTRON figure will be available exclusively at GameStop in the US starting Summer of 2019 and for pre-order starting February 15 at GameStop. Check out the images after the jump and then join to the ongoing discussion on the 2005 Boards! 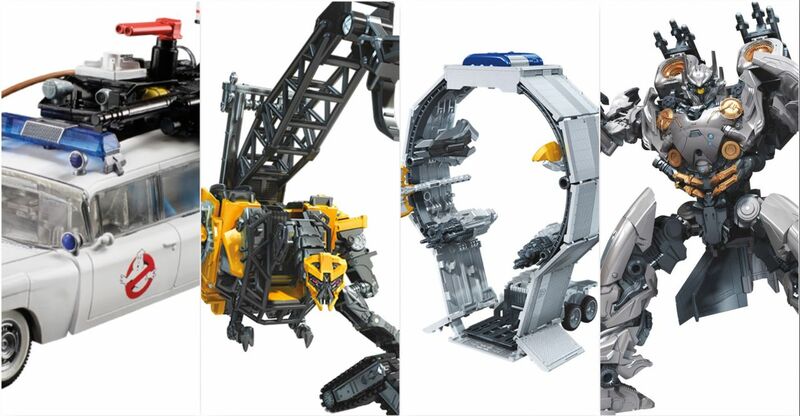 Toy Fair 2019 – Transformers Siege 35th Anniversary Figures – Bluestreak, Soundblaster and More! Thanks to @AgentM of Twitter we get a quick glimpse of four 35th Anniversary Transformers Siege Figures. The figures are, Voyager Class Optimus Prime, Megatron, and Soundblaster with Deluxe Class Bluestreak. Optimus and Megatron seem to be cell-shaded repaints of their battle damaged counterparts. Soundblaster is repainted from the upcoming Soundwave, and Bluestreak is repainted from Prowl with what looks to be shoulder mounted rockets. Strangely enough this display seemed to be removed and replaced with other figures before our Toy Fair coverage began. Hopefully we will get better images of figures soon. MP-43 Megatron (Beast Wars) – Showing off an incredible finishing. MP-44 Optimus Prime Ver 3.0 – Two Gray prototypes on display, one for each mode. MP-45 Bumblebee Ver 2.0 – On display in robot mode with Spike figurine on his shoulders. MP-17+ Prowl – Both modes on display. MP-20+ Wheeljack – New redeco in cartoon-accurate colors.